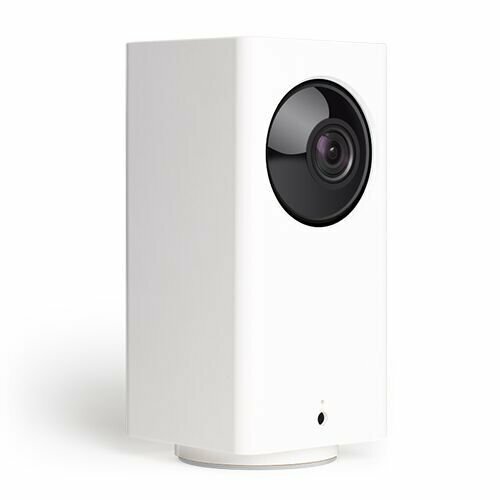 Discussion in 'Smart Cameras' started by dalepa, Aug 12, 2018. I've been playing with the $29 WyzeCamPan 1080P WIFI for a few days now and it just works. Motion Tracking, Pan Scanning, and motion tagging also just work as expected and is simple to setup. This is my 3rd Wyze cam with one of them running openip with blue iris. Like the WizeCam, setup of the WyzeCam Pan takes less than a minute to add to the app. If you have a need for wide angle 360deg panning indoor with WIFI, WizeCam Pan, the $29 ($37 Amazon Same Day Delivery) is hard to beat. VorlonFrog and emersonvier like this. The irony is that it technically has a form of auto-tracking, commonly found in extremely overpriced models. Have you determined any way to use Blue Iris with the original Wyze firmware? looks like the V2 wyzecam works in Blue iris now...any updates on the Pan?? This process works, however the resolution is lower in blue iris. I have 2 V2s and a pan, the wyze app works very well even with multiple cams. Hopefully wyze will support blue iris someday to get the best of both apps. than OpenIPC? more stable in blueiris and better resolution/framerate? Do you have audio working in Blue Iris? I have 4 wyzecam now, and they just work, and fun. 20 seconds to setup now, and even my 70 year old neighbor that cant use a PC was able to set 3 up. Just tried out the sharing feature where you can share out your wyzecams, and it worked perfect. This cam is going to be a big hit, specially if they can get an IP66 version. I ordered one (the pan version). I am going to play with it and use OpenIP firmware on it. Too bad it an indoor camera but some folks on Amazon are already selling outdoor case for it. Have anyone tried any of those outdoor case for the pan camera? Amazing that the WIFI works great at 500ft away from the router! Yes 500ft!